The Piccadilly line was on strike so the HEX (Heathrow Express) was the only way today. Fortunately, even when its packed the business first cabin manages to maintain a nice level of calmness. A welcome free upgrade for me and a guest with my British Airways Gold Guest List card. Before you know it, you have arrived at T5 and are striding through to the First Wing, but this wasn’t to be any normal first wing experience! There were a sea of staff dancing with headphones on…. Turns out they were promoting “Flying Start” with a silent disco – and all the staff were keen to get in on the action! I have said it before and I will say it again, the First Wing is the best thing to happen at Heathrow since I have been a Gold / Guest List card holder. What a breeze, and before we know it we are through and making our way to the Concorde Room. A couple of things here regarding the CCR….. 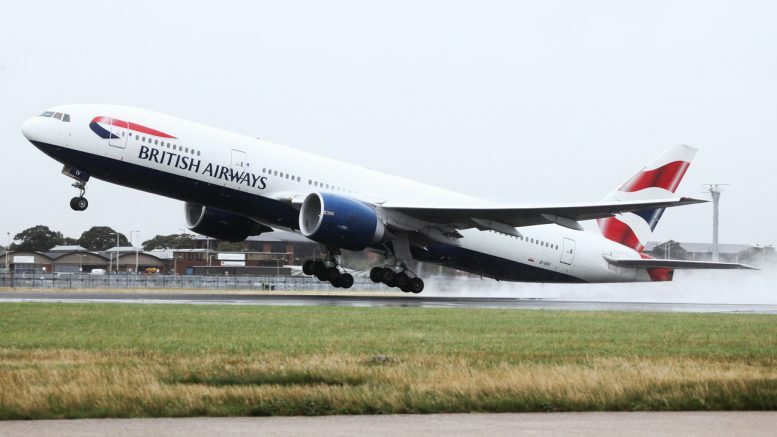 I have access to it with the flight on two counts – One with my F Boarding pass as it’s the lounge for BA First class passengers and secondly with my Concorde Room Card. By virtue of OneWorld guesting rules a passenger in F is entitled to one guest into the CCR. A slightly more BA specific rule states that as a GGL member flying in F – I am entitled to two guests into the CCR. It’s worth noting not all BA Lounge staff know this, so you might have to refer them to the lounge access guide, specifically the section around status. Anyway enough of the boring – back to the champagne! And then I hear a voice, and I look up from my phone! It’s a FlyerTalk Member who I had recently travelled to Phoenix with. How nice to see you etc etc…. There went my plan for a few hours sleep on the flight! It’s always great when a community can create moments like this! I won’t bore you with the rest of the chit-chat but much champagne and a few cocktails were consumed before it was time to head off to the B Gates. The flight was incredibly lightly loaded today in all cabins so expectations were high. As we came up the lift, however, we noticed…as it was such a light load, we, in fact, were the last passenger to board. It’s like they know me – oops! Onboard we took our seats in 1K (me) and 1F. Our friends were in 2E and F behind. 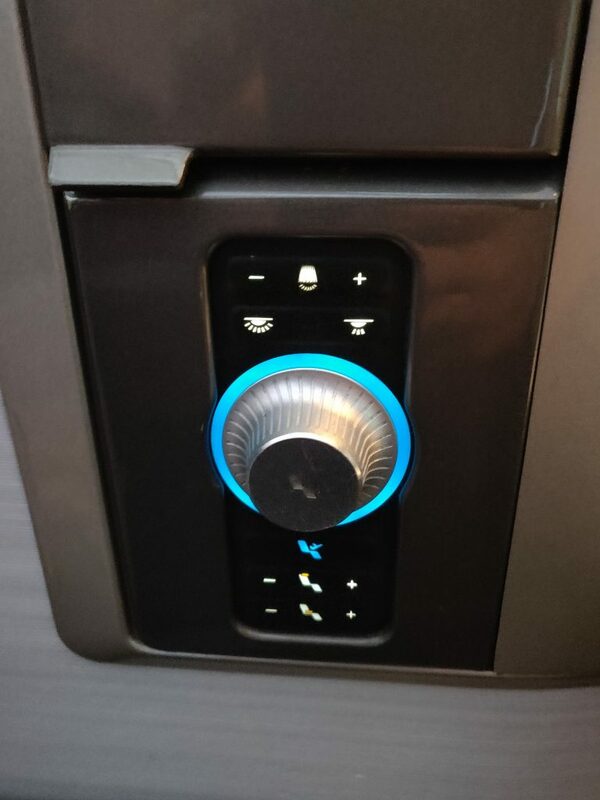 The first thing you notice about the 12 First class seat B777-200 operating the PVG (Shanghai) route is the lack of anything behind 2K! This is because they have been removed to make room for the crew rest area. The champagne was popped, and the pre departure beverage was swiftly server and topped up. The crew all seemed to be full of smiles and thus, so did we. So the seat is spacious, and most importantly comfortable so a perfect way to travel the 10hrs+ to Shanghai. Turn the knob for seat movement – the light changes from Green when out of the Take-Off/Landing position. Now as a Gold Guest List card holder I sometimes don’t bother to pre-order my meal as I will generally get a good chance to be high up the list for first choices. So the menu came round and I had a quick glance at it. The Pork sounded lovely so I had my eyes set on that following the soup. 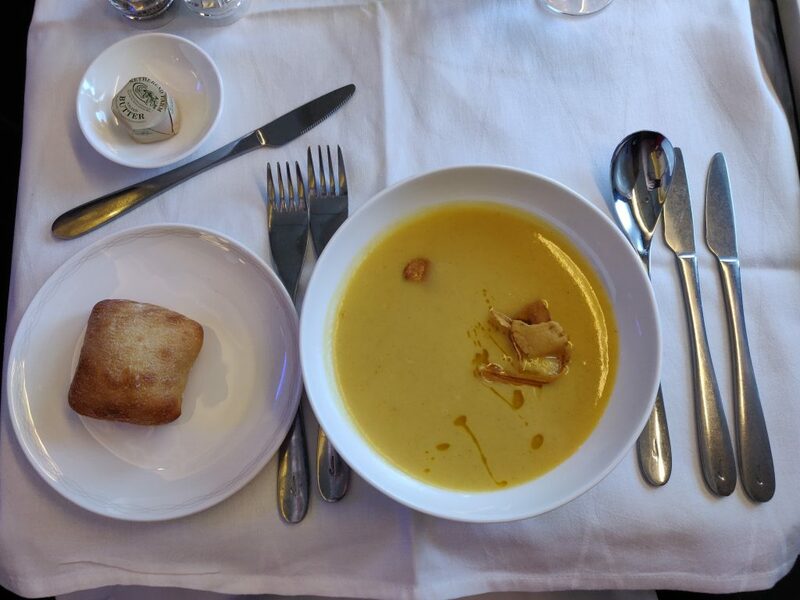 I usually always go for the soup in F, as BA rarely do a bad one, and frankly its hard to mess up even at 38,000ft. Amenity kits, sleeper suits and slippers were then distributed around the cabin. This is where the fun ended, for a short time anyway…. A keen crew member had gone up the A side of the cabin and taken all the meal orders without checking status etc. Now BA has taken some flack recently on public forums and social media for poor performances in F and going to far with cost cutting. I think you can see where this is going. The crew came to take our orders which were of one Pork and one beef. They had neither. They had only loaded two of each. There goes my first AND second choices…. I’m then told its 50/50 on if they have any duck left which was my third choice! My partner in 1F didn’t really fancy any of the other choices after pork and beef so was offered a Club World menu. Now let’s go back to the elephant in the room. “You should have pre-ordered”. Well, no in my opinion. This is First class, and frankly no matter what I have paid, or not paid for my ticket, I expect first class service. As a GGL and Gold card holder on one booking with a very lightly loaded cabin I don’t expect to have to worry about meal choices. Not getting my first choice, fair enough. But to have to go down to my third choice due to a protocol failure on meal distribution is not acceptable in BAs “ultra premium” cabin. And before everyone starts – yes the meal loads were low. Too low in my opinion, but this is more a service failing, than “a race to the bottom”. The CSM came and saw us both to apologise, and even said he would personally make sure we got our first choice if we so wished. Now as I just said – anyone who flies First deserves First service, status or not. So because of this I was not comfortable or prepared to take someone elses choice from them after it being offered and confirmed to them. I did appreciate the gesture from the CSM however. I ended up with the soup and the duck which was decent, albeit not outstanding. My partner had the beef from Club World, which they presented to F standards and was “very tasty”. We had WiFi onboard this plane and I purchased the entire flight “streaming” package for £23.99. Now whilst I don’t doubt its faster than the normal one – don’t expect HD Netflix, or YouTube without buffering! It was fine for emails and to keep in touch with friends via WhatsApp. Four weary passengers then stepped off the plane and off to Chinese immigration we went…. 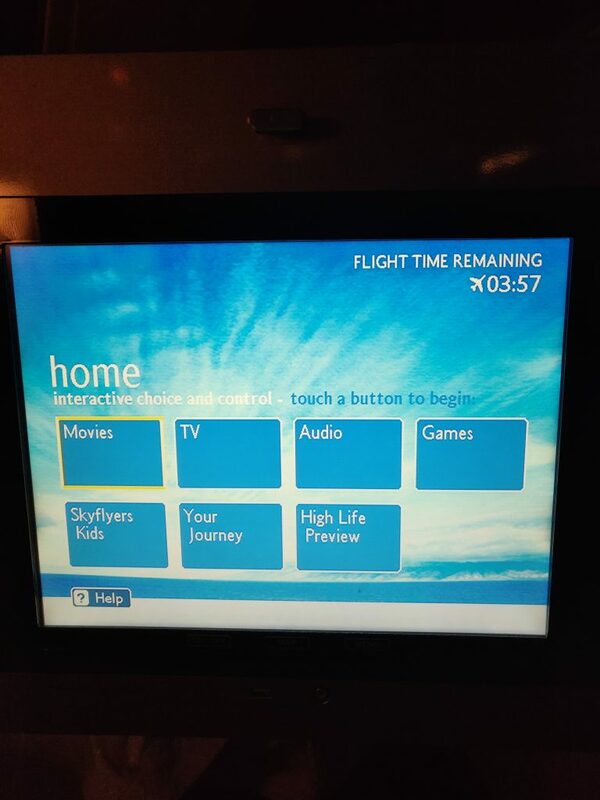 The IFE – it’s the old rockwell collins system, and the hateful resolution frustrates me – so I did not use it, preferring my smart phone and laptop/tablet. The bed – again I did not use it, as I did not sleep at all during the flight. I can however confirm as I type this from BA168 on the way home to London that it’s comfy and spacious. I am a shade over 6ft tall and have plenty of space to stretch out anyway I want. The 4 hours sleep I just got were very comfortable. Now takeaways from this flight? Well, ultimately if BA catered F like it should be would this have happened? Who knows? I appreciate it is a fine line and they don’t want wastage. But F is F. And F doesn’t have the tagline “Sorry we are too tight to cater enough popular dishes for all – so make sure you pre-order.” Will I pre-order my next flight? If I remember, possibly! 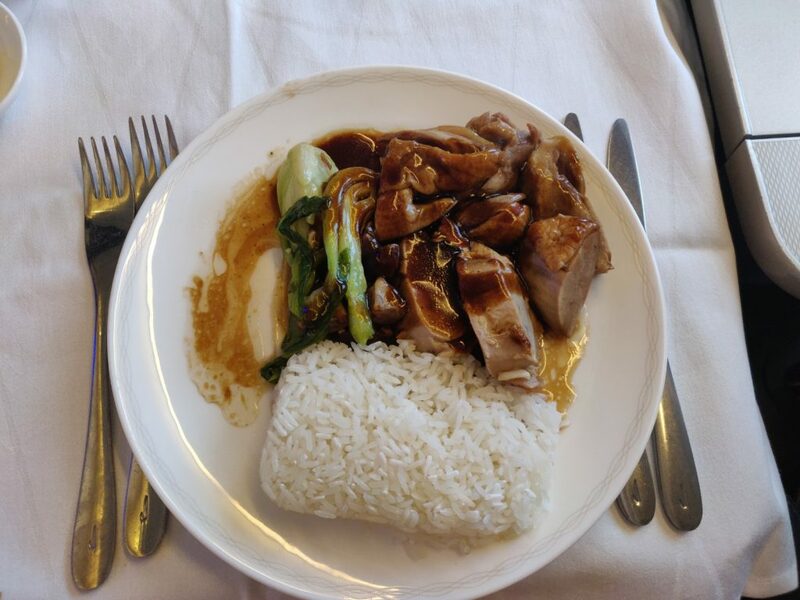 Thanks for letting us know about the catering problems you had on your flight from London Heathrow to Shanghai on 27 September in our First cabin. I completely understand why you’re annoyed we couldn’t give you your first choice and second choice of meal. I absolutely agree we’ve let you down, especially as you were seated in the first row. We keep an eye on trends so we can make adjustments to the loading ratios based on the meals we serve, but it can be hard to get it right on every flight. As I’m sure you’re aware, the ability to pre-order is now available in our premium cabins for all of our outbound London Heathrow routes, which will guarantee your choice of main course. However, I appreciate this doesn’t change how your own journey was affected, and I do apologise for the inconvenience caused. To show you how much we appreciate your support, I’ve added 6,500 Avios to your Gold Guest List account. Please accept them as an apology. Subject to availability, you can put your Avios towards future bookings or use them to upgrade your class of travel next time you fly with us. They can also be used for hotels and car hire. Please visit www.ba.com/executiveclub to find out more. Thanks again for getting in touch with us, as your feedback is essential to help us improve our service. We value your support as a Gold Guest List member, and we look forward to welcoming you on board again on Sunday. Please feel free to contact me directly using the blue link below if I can help you with anything else. I will leave you to make up your own minds. I will fly BA F again. But I won’t be accepting 6,500 avios. The offer was increased, a very small amount due to my GGL status, but they were hard and sticking to the 6,500 is standard for food issues in First. They have noted my displeasure. 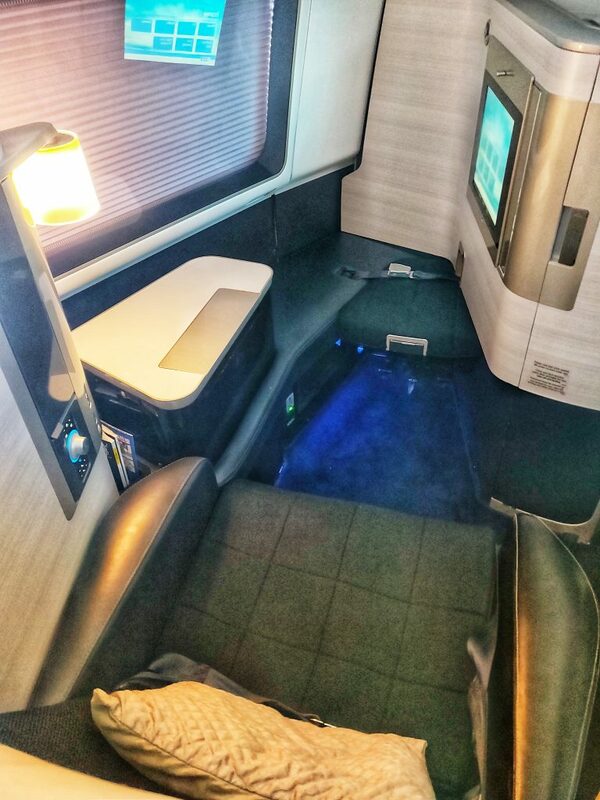 Michele is doing exactly the same trip in a month’s time in First with Roving Reporter, so it will be interesting to see what her flight is like when we read her review for comparison. You can read other BA First and Club review here. 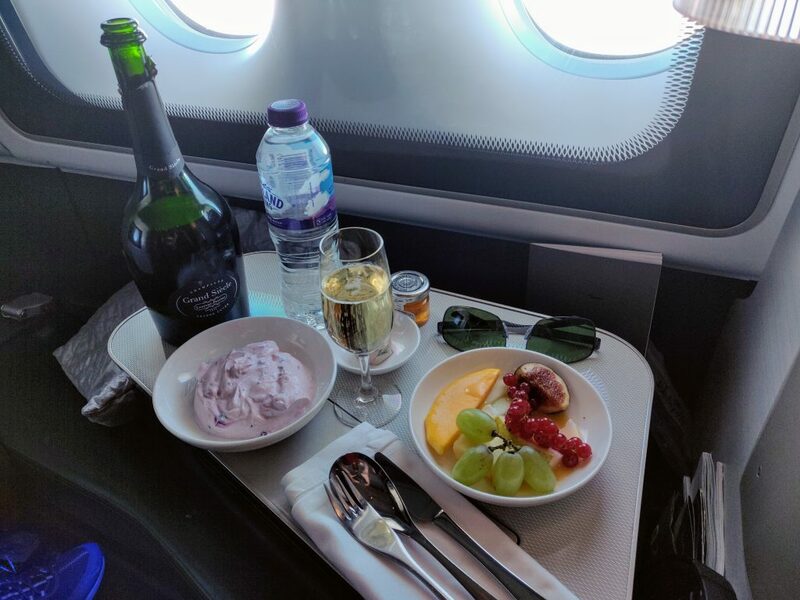 25 Comments on "British Airways B777-200 First Class London to Shanghai review"
Totally agree 6,500 Avios for no 1st or 2nd choice meal in what is supposedly fine dining in the sky is insulting. I wouldn’t haggle at all, I have no concept of how much the meal service supposedly impacts the price, but I would wager it is more than 5%, bearing in mind that LHR to PVG is at least 100,000 Avios plus perhaps GBP350, their recompense is nonsense. I would make two observations. First, the answer to the problem lies in three letters…..CSM. Mixed fleet. Had it have been CSD, then I believe the situation may have been different. That said, I must say that even I find time to pre-order meals for my wife and I on our many many flights. I always check for plane changes about 10 days prior to flying to make sure 1A and K or 1A and 2A depending on the aircraft are still in the system! You really cannot expect BA load one if each option for up to 14 passengers simply because some people cant be bothered to help by expresdibg an option!! Do you happen to have a template on how to complain about luggage that didn’t make the BA flight and arrived at my home address 2 days later even though i was texted that it would arrive the following day. Additionally, it was also over 1 hour to check in for a business class flight! Denise, your best bet is to follow the links attached and be as clear and concise as possible. All passengers can get their first choice by pre-ordering. I find it astonishing that you think someone with Gold status should have their order taken before someone with Blue. The Gold might be going a “free” flight with Avios, the Blue might have paid £4000. Surely all F passengers should expect the same high level of service? It’s a fair point and why I refused to take someone else’s meal. Was this on a special fare price, if so how much did it cost? It was an upgraded business class fare yes. Interesting review since we are doing (almost) the same trip in a few weeks time, also in 1K, but to Beijing. The BA response is just standard wording. I had exactly the same as your para 3 – where they helpfully explain (even to G or GGL) how ‘you can put your Avios towards future bookings….’ – even when the flight I was referring to had been booked as a redemption! My main issue is that food is very important in F and 6500 does not reflect that! Have a great time in Beijing! I was not taking issue with your view of the importance of food in F, or the compensation offered. I was merely commenting on the usual guff in the BA response – such as letting us know how we can use avios when we clearly already know. BA being helpful as always Geoff! I’m a fan of the blog which is getting better week by week. But I think this review has too much emphasis on the fact that there was an error that affected one (of three) courses of one (of the two?) meals. It can be annoying and yes it is not good service but they did try to rectify this both during the flight and after. If 6.5k avios is the equivalent of at least around £60 (for the average reader of a blog like this who knows how to optimize points) then it is not a bad attempt, this is more than what a main would cost roughly at a 2+* restaurant in London. Also this is meant to be fine dining, and not sure the bottle of champagne on the table is compatible with that. To me 6500 avios is effectively saying they rank food as less than 5% of the F experience. To me that is simply not the case and hence my unhappiness. I think your response should be as follows. Regarding your recent failures on my flight and our previous communications I have spoken with both friends and colleagues about what we all view to be a woeful attempt to put things right. However upon reflection, and taking your hard-nosed non-customer centric approach, into account I have decided to graciously accept your offer of 6,500 avios. Therefore I look forward to this amount being credited for your failure to provide my 1st choice, the same again for your failure to provide my second choice and for this process to be repeated twice over as my travelling companion suffered the same problem. Obviously as she was then served food from the J cabin I think we can all agree that this should carry the same award again. Seeing you have already awarded 6,500 to my account please advise me when the remaining 26,000 have been credited at which time I will consider the matter closed. Feel free to use the above. Regarding this being their policy for such matters I’d like to point out that I was awarded 10,000 as a, then, lowly Blue for not getting my 1st choice on a CE flight just a few months ago despite being in 2 A-C so where this 6.5 for such things comes from i’m not sure and might be something worth pointing out to them. Paul my point about CSM vs CSD (Mixed vs Long Haul) is precisely the difference between “protocol” being followed or not. It is down to training and leadership and whilst it is the vast majority of frontline UK ground staff and the on board team members that keep us loyal to BA, there is a noticeable difference between mannerisms and service between the two teams – unfortunately. That said, I really do think that it is not too much effort to go on line and express a preference, which is explained in the email sent out a week or so before flying. Failure to express a choice can therefore be assumed as a “happy to have whatever” ….. (is available, obviously). Apologies are also expressed on the menu about first choice not being available etc. It is unfortunate if second choice is not available either but there you go, back to the pre ordering and so we go round in circles. Im not sure that any compensation is appropriate in this circumstance when it could be construed that the shortfall was self inflicted. 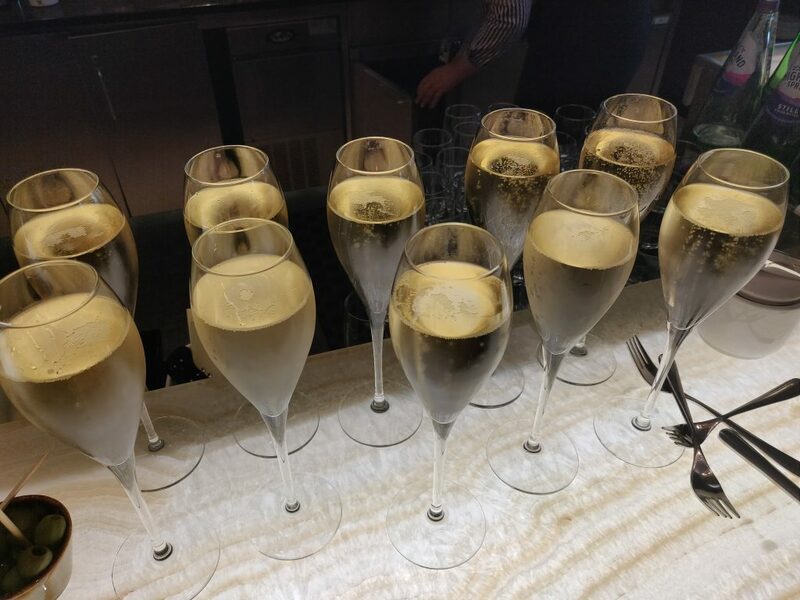 You will find that there is plenty of Grande Siecle on board even for us fizz heads, and the necessity of accepting a bottle for ones own consumption is neither the fine dining in the sky way, nor particularly suggestive of appreciation of what BA are trying to offer. I also don’t think that Long Haul would do this (but I have however been given bottles to take away by them). I also find that there are always one or two other wines available that might complement courses more than champagne does and I am happy to try them AND the team are very omnipresent when the glass “evaporates” to a large extent! 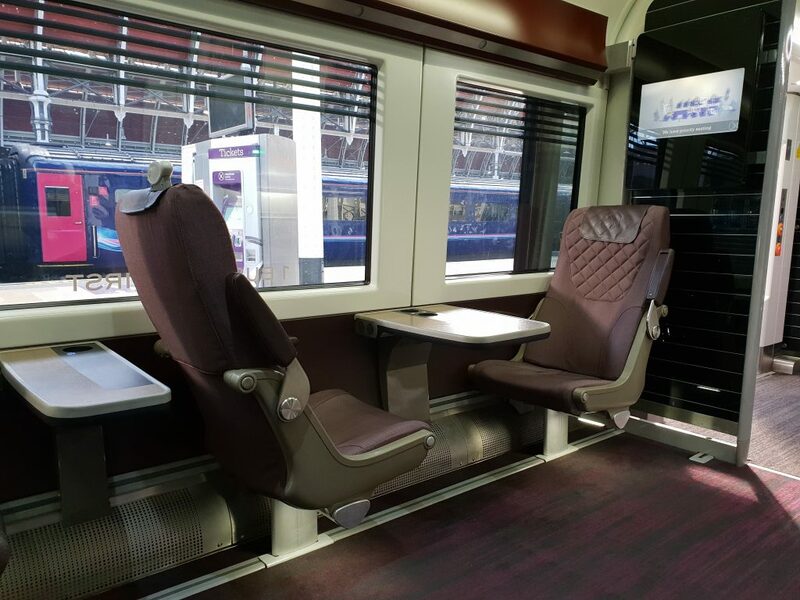 Im sorry to sound dismissive of some of your points, but I must state the fact that the cabin which the team least like working is the J cabin and the reason is that there are so many passengers doing it as a one off, even being paid for by someone else, or by their employer, that they demand and demand and demand, determined to get their moneys worth (or who ever paid for the ticket, moneys worth). The team do not like this. They like polite and friendly interaction and they give as they get. You stated, I think, that you chopped in some Avios for an upgrade from J to F………. Sorry to read about your terrible privations in First. Sounds as though you battled through them with the aid of copious amounts of Champers! I’m hoping to bag a couple of Firsts using a 2-4-1 for a trip to Shanghai next year. The reminder to pre-book was useful although this hasn’t always worked for me in Club. Maybe some Gold passenger pulled rank and got my meal. Didn’t occur to me complain though and 6500 Avios sounds a pretty good return for the investment in on-board Wi-fi. In passing I’d say I don’t find HEX that much better than roughing it on Picaddily line due to the long walk at Heathrow with luggage. If I can, I send my cases by AirPorter and just carry hand luggage. It’s a much better experience. Is there a hotel review to follow from the Shanghai trio? Hi Oxonlad. There will be a Shanghai hotel review to follow from me when I go in a few weeks and possibly Paul too. I am a big AirPortr fan too although the last time I got a SSSS with no mobile boarding pass which ruined it! Hi Paul, It is a simple cost cutting move to limit the number of the more expensive meat / fish dishes and load significantly more of the cheaper vegetarian dishes. There was hardly ever an issue with first choice menu items running out because they loaded extra meat and fish meals to avoid any problems, and the surplus meals went to the flight deck crew or Business class passengers with an issue with their menu choices. However, this all changed with the decision to load the exact number of meals to match the number of passengers booked in the First cabin. This is one of the main reasons Gate upgrades can’t happen because their aren’t any spare meals to serve to the upgraded passenger. 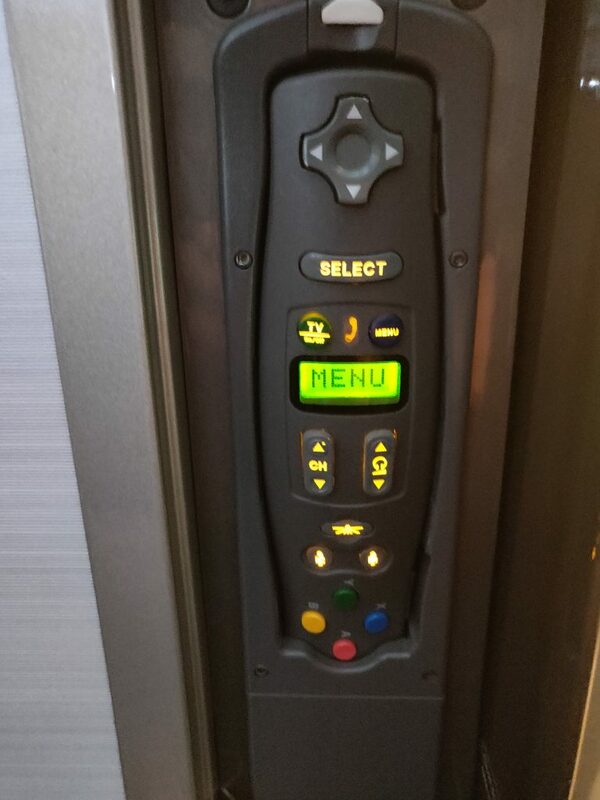 The ‘you should have pre-ordered’ excuse absolves BA of any responsibility and turns it in to a problem of your making, so next time you are forced to pre-order to get what you want to eat, and lowers their catering costs by loading exactly the right number of each dish for the exact number of passengers booked. I hate to say it, but their plan is working, as more and more passengers pre-order to avoid disappointment on the day. On the 169 the day after you, Apprently I preorded the veg korma which I didn’t, but luckily they came to us first and despite them insisting I had pre-ordered (which I never do) they provided first choice from the menu because we were Gold members. making us feel like we were very lucky… haha… otherwise the rest of the service was great. Well, we did our first first to Beijing, as mentioned above. The Concorde Room was very nice, although there were no duck-footed table lamps to be seen – maybe Michelle has been in with her Mary Poppins carpet bag!? 😉 The food and drink onboard were also all good. The main problem was completely unnecessary noise from the forward galley area – not the food service but constant all-night chatter from the crew. Following some experimentation (since I was awake anyway) the curved seat back design appeared to amplify the noise further. I would definitely go further back next time. My only surprise is that you did not accept the offer to take the meal from the other passenger. Because I’m not a d!ck?